Passivation Services for Industrial and Commercial Markets | ISO Finishing Inc. Passivation Services for Industrial and Commercial Markets | ISO Finishing Inc.
ISO Finishing is a state-of-the-art isotropic mass finishing company specializing in Centrifugal Barrel Finishing, Vibratory Polishing, Passivation Services and Anodizing services. We provide complete finishing solutions for all industrial and commercial markets including aerospace/aviation, automotive/performance motorsports, defense/military, dental, firearms, medical, OEM and pharmaceutical industries. Quality is at the heart of everything we do! Our passivation of stainless steel system has been designed to offer our customers a one-stop solution tailored to meet the stringent ASTM a967 specification. ISO Finishing has developed a streamlined process to cut, polish, clean and inspect each unique component to meet customer requirements. Each job is carefully monitored from its arrival through the entire process to ensure consistent, repeatable, documented results. One might logically suggest passivation of stainless steel would not be necessary. While stainless steel is much more naturally corrosion-resistant, it is not entirely impervious to corrosion. Minute traces of carbon and iron deposited by surface contact through any of the various manufacturing steps is what compromises the integrity of the stainless steel surface. When these embedded ferrous contaminants come into contact with water it starts the corrosive reaction, even in the presence of chromium. Our passivation services includes the process of using an acid bath to remove free iron and other ferrous elements from the surface of stainless steel components. When the surface iron is removed, the other components of the alloy, primarily chromium or nickel, are exposed to air and are deposited as a shell over the underlying base material. The formation of this inert, “passive” layer, is what gives the component increased resistance to corrosion and improves the adhesion of any subsequent coating. How does the Passivation Services Process Work? The ASTM a967 passivation standard applies to the cleaning, testing, and passivation of stainless steel, titanium and other metallic parts. Common to nearly all the specifications are: cleaning of the surface from any contaminants via an alkali solution, chemical treatment via immersion in an acid bath (typically nitric or citric acid), rinsing of residual acid and testing of the newly passivated surface to ensure the process steps. Chemically treating the components accelerates the naturally occurring oxidation process when the corrosion inhibiting material is exposed to oxygen in the atmosphere. It simply helps “grow” the oxide layer faster and thicker than the natural process. 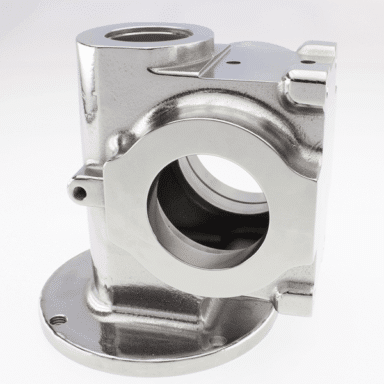 What Equipment is Needed to Passivate Stainless Steel Parts? Determining the exact passivation service process to effectively clean and acid bath passivate stainless steel requires knowledge and expertise. Our team is well equipped to develop and document the process requirements to deliver consistent results. Alkaline cleaning of the materials to remove all contaminants, oils, foreign material, etc. Nitric or citric acid immersion bath to fully dissolve any free irons & sulfides and expedite the formation of passive film or oxide layer. What is the machine we use for passivation services? To ensure consistent, documented results, we use the ESMA E992 fully automatic ultrasonic cleaner and passivation services system. Validated process parameters are loaded into the integrated computer and saved with a unique identifier for each component. Parts are loaded into the processing unit and the cleaning solution, acid bath and rinse cycles are transferred from holding tanks into processing unit throughout each stage of the process. Once the programmed cycle is complete the parts can be dried within the unit or in the centrifugal dryer and inspected. ISO Finishing is located in Minneapolis, Minnesota home to many global manufacturers providing components for the aerospace/aviation, automotive/performance motorsports, defense/military, dental, firearms, medical, OEM and other high tech industries. Each of these industries require knowledge, experience, research, development, documentation and consistency to meet their customers’ expectations. We have worked with some of the most technologically advanced companies within each of these industries. The Twin Cities are home to four of the top ten medical device manufacturing regions in the entire US. 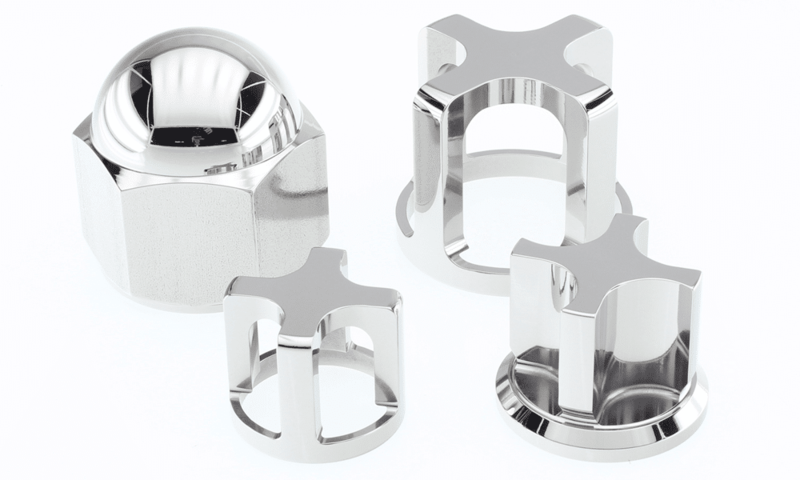 Having the large concentration of medical device companies in our backyard has given us the opportunity to provide passivation services for some of the biggest names in the business. The experience we have gained at ISO Finishing allows us to help our customers with process development, design and validation and help select the right equipment should the volume require the process be brought in-house. Some of the common devices we have experience with are: pacemaker components, fluid delivery seals, bone screws, orthopedic implants, battery components, surgical instruments, and the list goes on and on. Much like the medical device industry, Minneapolis is home to some of the best aerospace component manufacturing companies. Many of our aerospace industry clients have products that range from high precision machined turbine blades to instrument panels, from stainless hydraulic components to aluminum seating frames. Our long-time working relationship with local and national aerospace manufacturers and our expertise allow us to be a true value added solution in passivation services to our customers finishing needs. We have experience working with local motorcycle and ATV manufacturers as well as several national stock, road and drag car manufacturers. We help each of our customers make significant performance gains from simply applying the isotropic finishing principles to their components. Parts commonly finished with our passivation services include camshafts, cranks, gears, braking components, valves and practically any other component susceptible to heat, wear and fatigue. We’ve finished parts for some of the nation’s biggest names in professional racing and give every project the same attention to detail. We take special care in selecting a passivation service treatment that will target the contaminant to properly aid in the development of the chromium-oxide passive film on the surface of the stainless steel for any industry. Why Choose ISO Finishing for Passivation of Stainless Steel and Other Metals? The value of doing business with ISO Finishing lies in our deep commitment to our customers. Our staff of engineers and production technicians combines hundreds of years of industrial plating business experience. We put our technology expertise, teamwork and problem-solving skills to work for you. ISO Finishing has created and fine-tuned a variety of metal finishing processes. We specialize in the highest quality passivation of stainless steel. We’re a recognized leader in the development of business improvement processes that help companies like yours reduce costs and increase operating efficiency. Contact us to learn more about how our passivation services can help you reduce the harmful impact of corrosion while extending the life of your metal parts and materials. An ISO Finishing engineer will guide you through the entire process and recommend the most effective and economical solutions for industrial plating, passivation services of metals and cost-cutting service packages.